How is a Green Cleaning Solution Different? There are so many professional carpet cleaning companies to choose from and some advertise the use of green cleaning products. How is a green cleaning solution different from the standard run of the mill chemical cleaning solutions? 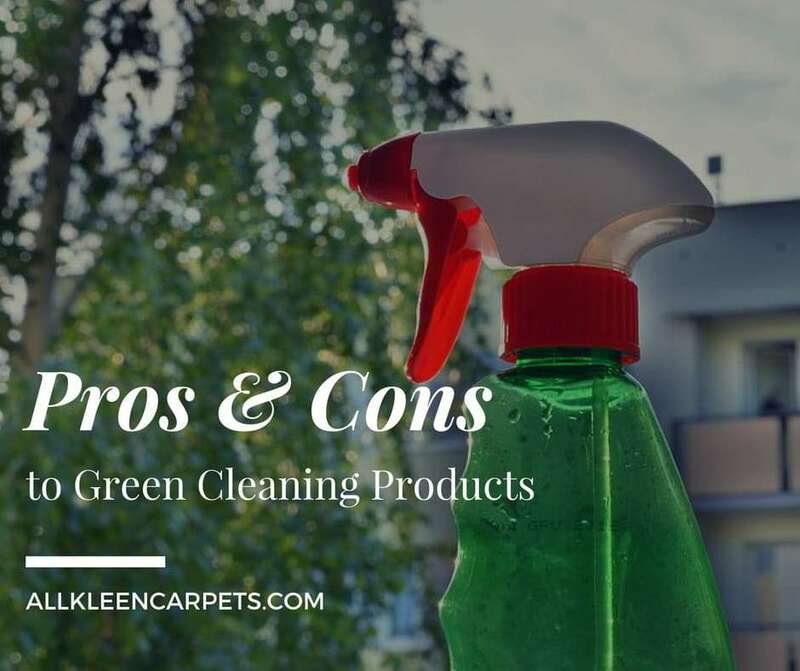 Let’s take a look at the benefits and drawbacks of using each type of cleaning solution on the carpet to help you see the differences between green cleaning solutions and traditional chemical-based solutions, and help you determine what you would prefer to use in your home. Ease of Use: clear instructions and ready for most people to use without complications. Quick Results: made to be tough and fast acting, a chemical cleaner will deliver results as long as it is used as instructed on the correct type of stain. Lingering Toxins in Air: you have probably noticed that many chemical solutions have a very strong odor when opened and used in a room. Some instructions may even tell you to make sure you are using the product in a well-ventilated space. This is the smell of harsh chemicals being released into the air and breathed into your body. Extended Exposure Can Lead to Health Problems: there have been several studies and there are likely to be several more on the effects of cleaning products on your health. Some chemical-based products have been linked to significant health issues with prolonged use/exposure such as asthma, allergies, respiratory illness, and even some forms of cancer. Damaging When Used Incorrectly: most chemical cleaners need to be tested when used on a new material to make sure it will not harm the material. Also, many of them are not meant to be multipurpose and have limited use. Not Earth Friendly: these are not items you want to poor down a drain. Natural Not Harsh: there are no toxic fumes to breath in and less worry of ruining what the solution is applied to because it is gentler. Safe for Everyone: because green cleaning solutions have no toxins in them you can rest assured that your whole family is safe to lay down, sit, or play on the carpet; even baby and your pets. Can be Used on Many Different Surfaces: because green solutions are not as harsh they can be safely used on a wider variety of fabrics and stains. Earth Friendly: these cleaners are kind to the environment all around us not just the inhabitants of your home. May take a Bit More Time: chemical solutions are made with the toughest of compounds to be extremely tough and fast working while compromising safe use, because of this natural green cleaners can take longer to perform compared to harsh chemical cleaners. Can Be More Costly to Purchase: because green cleaning is very popular green solutions can cost more when purchased from the store. Homemade Green Products May Have Allergens: some green cleaning recipes for homemade products, such as those that use essential oils, may have allergens in them so be aware if you have an allergy sufferer in your home. All Kleen is proud to use green cleaning solutions with hot water extraction to deep clean carpets and upholstery. We have a team of highly trained pros with customer service as their main focus. Make an appointment online for the best and safest professional carpet care.